Read on to know more details about this remarkable product. 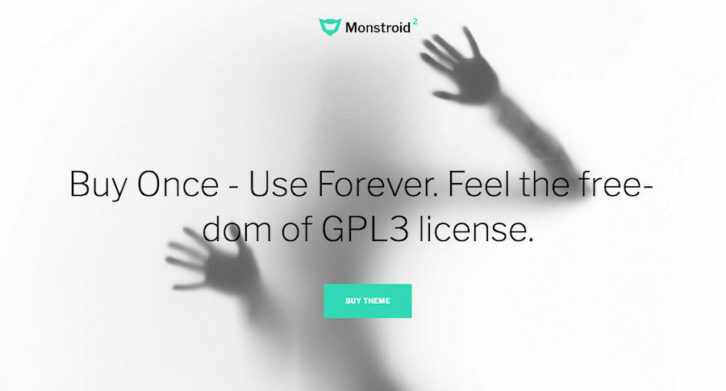 First of all, we would like to mention that Monstroid 2 belongs to GPL WordPress themes. This type of license is really beneficial for developers and end-users. It frees you from any restrictions that the single-site license puts on you. In other words, you’ll be able to install the theme on unlimited sites and edit its source code as you like. The theme will be all yours. Monstroid 2 is an LTS product, which means you’ll get new features and skins on regular terms. Please note that to access them, you don’t need to pay extra money. 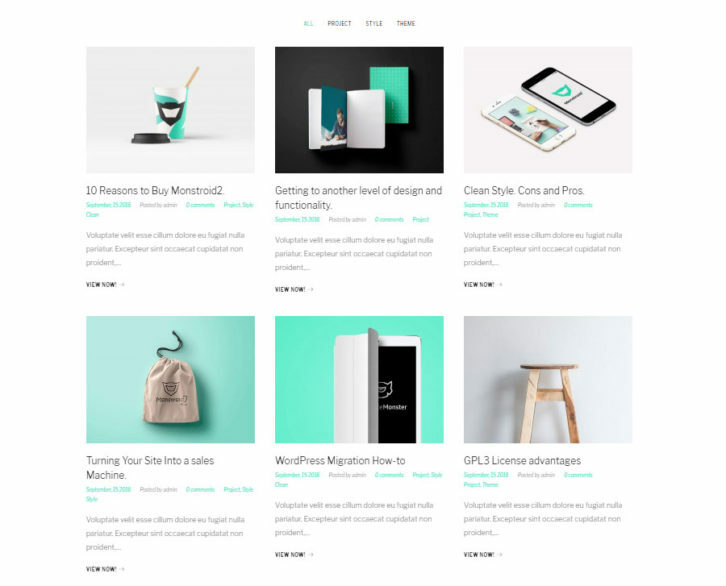 TemplateMonster will announce all the updates of this multi-purpose WordPress theme on their blog, so come round frequently. In addition to the default theme, nine skins are integrated into Monstroid 2. That’s great, as those skins provide more than just a visual design with a few pre-made pages. A cool site nowadays is much more than just the info and gallery images the visitors can read and view. TemplateMonster designed each skin based on the in-depth niche analysis and equipped them with niche-specific features. To put it simple, you get a functionally equipped solution out-of-the-box, not just a nice picture. What’s also lovable about the skins is their super easy installation. You can simply switch between them in a live customizer and set the required one. Monstroid 2 skins embrace all popular niches, from investment and law to fitness and fashion. Are you ready to check out what niche-specific features some of them have? Reserving a table online is convenient. A lot of customers use this function today, so every restaurant must have it available. TemplateMonster developed an extremely user-friendly table booking system for the restaurant skin of Monstroid 2. Visitors can see all the restaurant tables and choose the one they wish to book with a single click. Next, they proceed to the calendar, choose the available date, and book it. This skin has a unique feature for business websites. It’s an appointment manager. The feature enables customers to book appointments online. 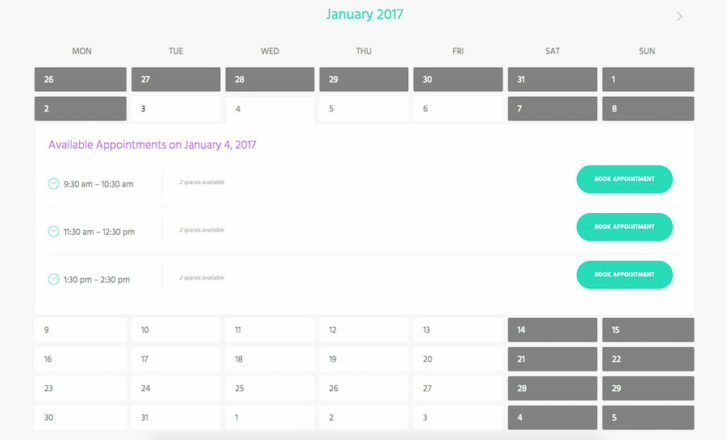 Once they click on a certain day in the calendar, all the available timeslots appear. Customers need to fill in a pop-up form to book an appointment. It’s simple. The customer either identify themselves as new or current client and register or sign in respectively. Monstroid 2 multi-purpose WordPress theme includes a hotel skin with an advanced room search. Visitors need to specify check-in and check-out dates and the number of adults and kids to find vacant rooms. 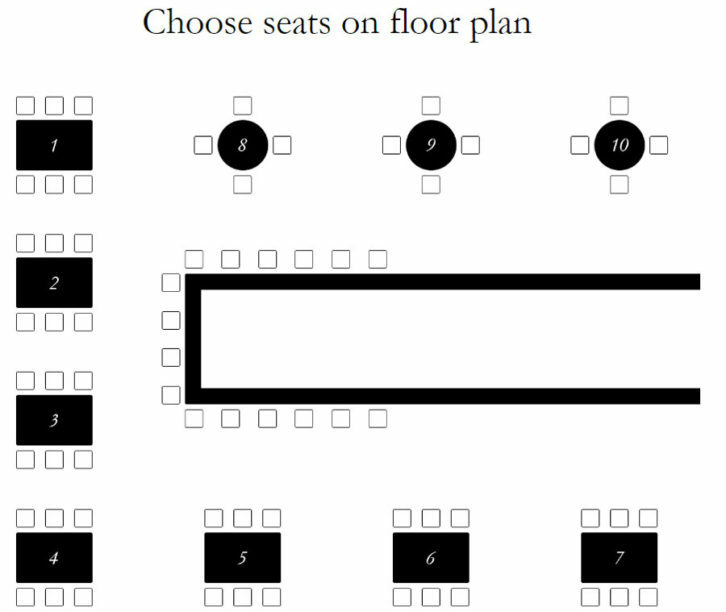 Then, they will see all the available rooms that meet their requirements. Monstroid 2 functionality is based on 20+ WordPress plugins that TemplateMonster team developed itself. Most of them are open source and can be found on wordpress.org. Some of them are even not premium solutions, but company contribution to the WP community. You can use these WP plugins as standalone products, that is, outside the theme. They will be serviceable if you want to upgrade your other projects. There is a choice of plugins to get both basic and advanced functionality. This WordPress plugin is designed for portfolio presentation and management. It offers various layouts to arrange your projects, particularly grid, cascading grid, masonry, list, and justified. If your portfolio includes plenty of items, you can enable lazy load, “More” button or Ajax pagination mode. Each item gets the dynamic feel thanks to the animation effect on mouse over. The plugin also has filtering options to display projects by multiple criteria. They include categories, tags, ascending or descending order, date of creation, name, a number of comments, post format, and others. This is a must-have WordPress plugin for any cafe, restaurant, or eatery. 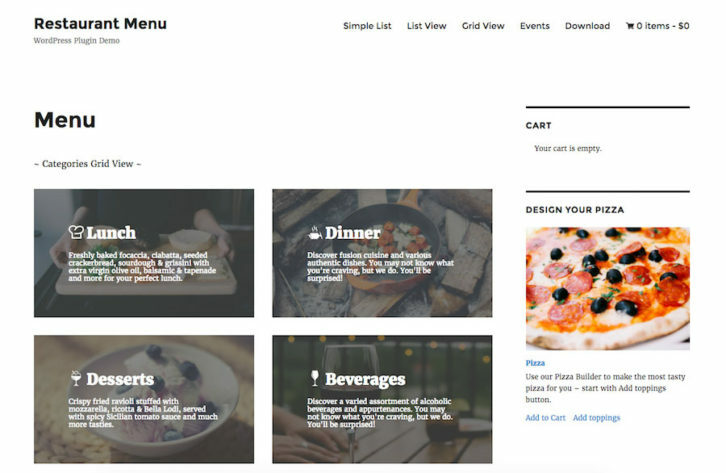 It allows you to add menus of your restaurant dishes to pages, as well as posts and sidebars via shortcodes. You can group dishes by different menu categories and label them with built-in or your own unique icons. Each dish can be displayed with a title, description, price, nutrition info, ingredients, weight, size, and other attributes. The plugin is also intended for eCommerce purposes so that you could sell food online. It supports the major payment methods, i.e. PayPal and Cash on Delivery. Both registered and unregistered visitors can make payments. Using order statuses, they can track the purchase at different stages, e.g. cooking and shipping. The plugin contains templates for sending notifications, confirmations, and payments. 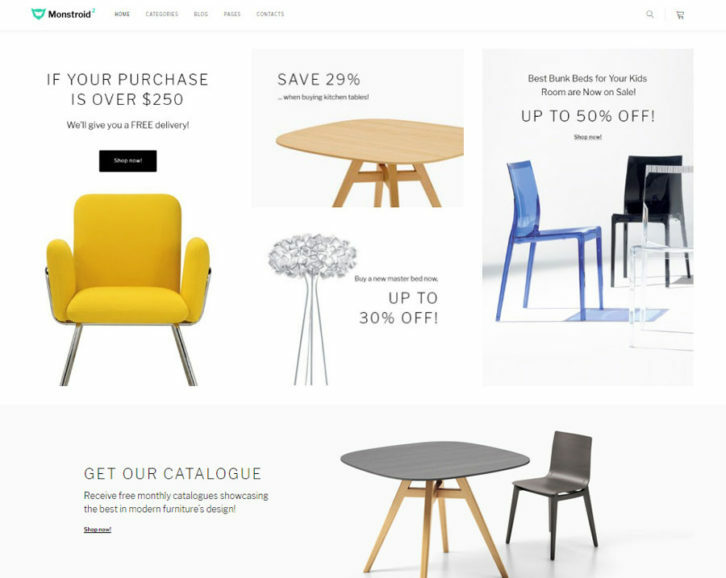 Monstroid 2 multi-purpose WordPress theme supports WooCommerce, bbPress, and BuddyPress. However, that’s not all. It is also shipped with pages pre-designed specifically for those plugins. 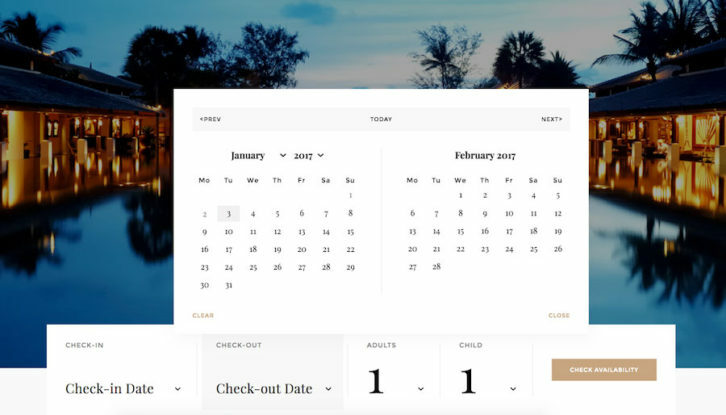 The pages fit the overall look of the theme, which means you won’t have to design anything yourself. Simply install these plugins and use them straight away hassle-free. In case you want to integrate your site with WooCommerce, you can use a skin out-of-the-box. As we have mentioned above, it has all necessary functionalities for a fully-fledged store, i.e. product ratings, wishlist, comparison, and sorting options, etc. It’s unbelievable, but you get lots of design variations with a single theme. You can choose any of 7 headers and three footer styles and edit them in a live customizer. There’s no need to reload the page to preview the changes you’ve made. The whole process of customization is carried out in a live mode. The customizer allows you edit anything from the font style and family to letter spacing and color scheme. The theme features a visual composer, Power, to build the main body of the page. You can structure layouts in a drag-and-drop interface and fill them with 25+ content modules with its help. Blurbs, countdown timer, pricing tables, video and post sliders, – there are modules for any content you may need. The homepage of Monstroid 2 is delivered in 7 styles. Whether you need a minimal, creative, or business solution, you will get them in a single package. This multi-purpose WordPress theme is all about diversity and freedom in all senses. Can’t wait to take a look under the hood of Monstroid 2? Pre-order it for $49 only now and check your mailbox. You will not only test its functionality in advance, but also save 35% on your purchase. After the official release, the theme will cost $75. Have any questions as to Monstroid 2? They are welcome at the comment section together with your impressions and everything you would like to share with the community on the topic. And don’t forget to tell your friends about Monstroid 2 multi-purpose WordPress pre-order possibility on social media. We are sure they will also be interested in the news. Have you abandoned this site? IT’s not updated as much as it use to be. I remember the days when quality scripts were posted here on a daily basis. But now, we only see these useless template sites being posted once every few weeks. Just look at all the last few articles, none of them are useful web scripts. What happened to you guys? I remember when you used to be number one.